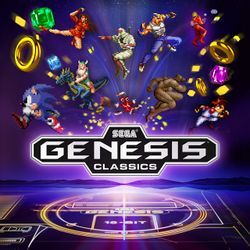 Sega Genesis Classics is a compilation of classic games from the Sega Genesis. It was released on Steam on April 28, 2016; the Steam version allows the games to be purchased individually, while console versions have all the games included. It was released on PlayStation 4 and Xbox One on May 29, 2018, and on Nintendo Switch on December 7, 2018. This page was last edited on 26 February 2019, at 04:56.